It's a different feeling in real life!!! Y'all know how long I've been worshipping Liza. I long know she looks like a doll. But today was the first time I ever saw Quen, and literally, he's like a Ken doll!!! The two of them doing kilig challenges together makes it soooo surreal because of the chemistry, and partly because they look like dolls in real life. Of course, getting this close as this photo (of which the circumstances on how it came to be I'll be explaining later in this post), is not possible without fresh breath. 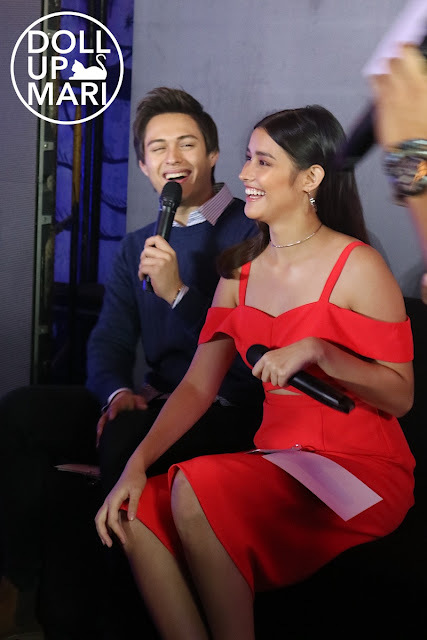 As Quen shared, it's sooooo embarrassing to go to taping and have the cameras rolling and all without being 10000% confident that you have fresh breath. CloseUp is all about giving fresher breath, so they need not worry about this! 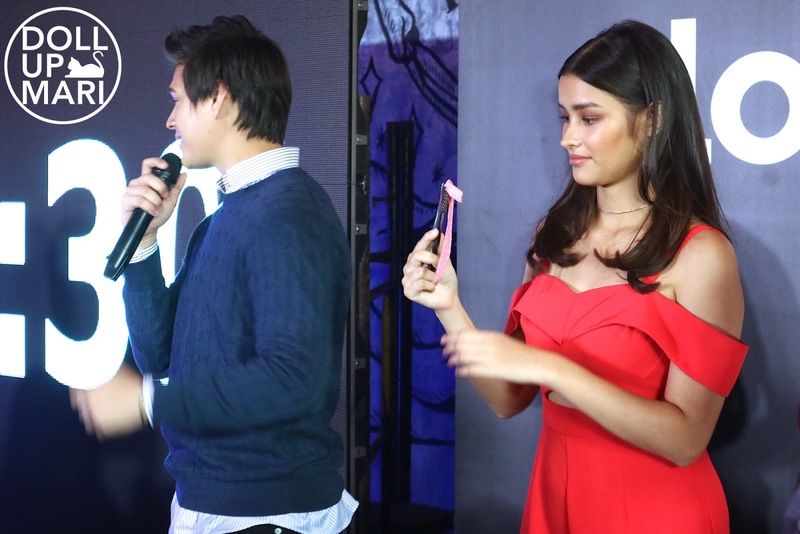 LizQuen can get as close as they (and all of us fans) want without any worries because they have fresh breath. 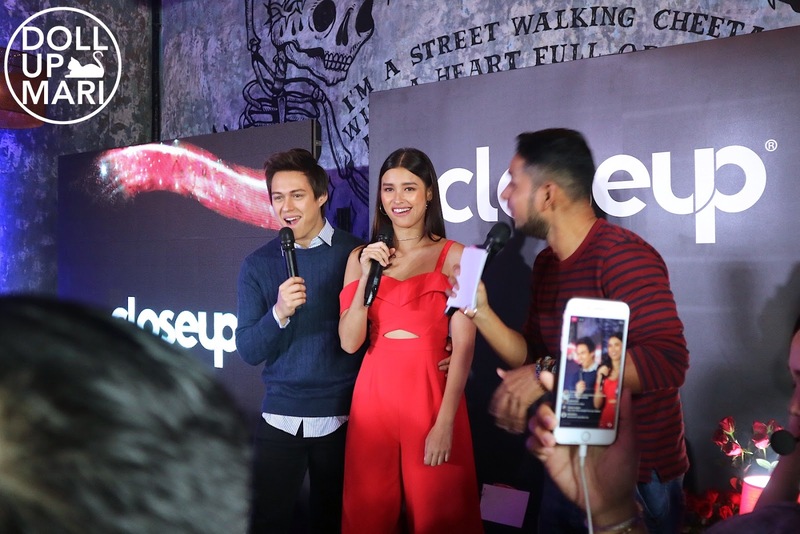 Last August 22, at 20:20, CloseUp was not only proud to be unveiling LizQuen to the press and a select group of fans as the newest faces of the brand. They were also proud of the fact that the new CloseUp is fresher than ever, for fresh breath that can last up 12 hours thanks to antibacterial mouthwash. 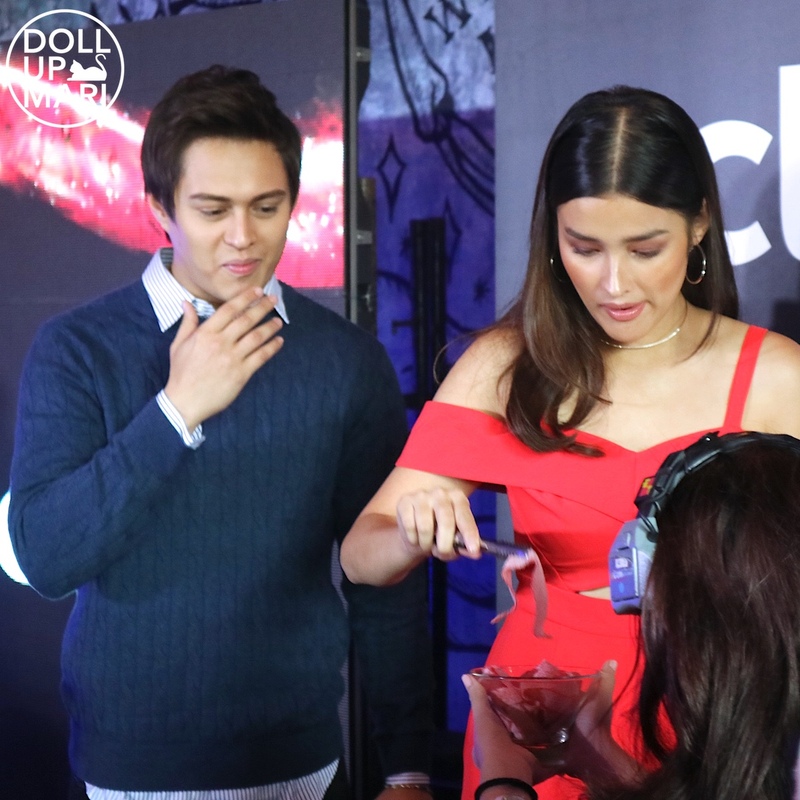 The great tasting CloseUp now tastes even better that LizQuen loves it so much. And the improved formula also means they can up the ante with the challenges! This is their shrinking room challenge where they got to a room of which the walls were closing in on them, making them get suuuper close. The results are delightfully cute, as what any obsessed fan (like me haha) would expect! The whole time I feel like everyone can't stop obsessing with their perfect teeth. Ahhhh....So white, so pretty. Sam YG was today's host to a reaaaally hyped up press launch. The place was filled to the brim with members of the press and media, as well as selected fans. Of course, there were the usual pleasantries. 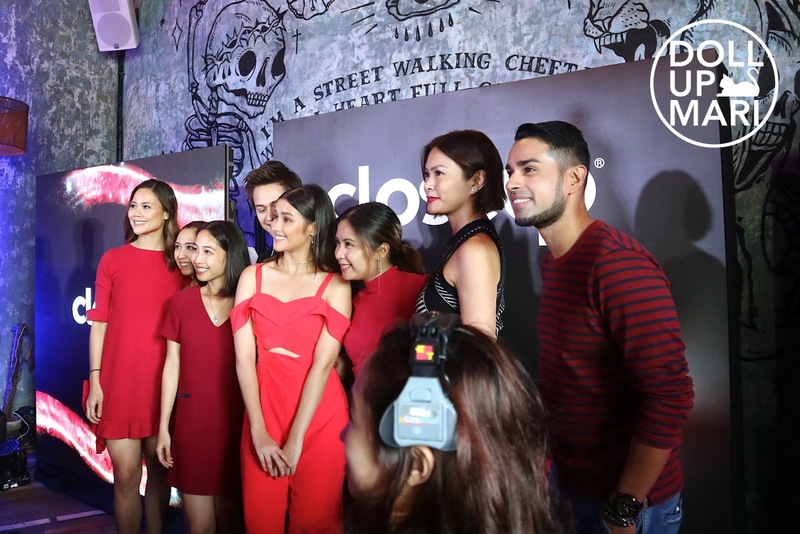 They're of course very happy to be the new faces of such an iconic brand with such a rich Philippine heritage (remember Lovapalooza?). Even I wanna bring Lovapalooza back again if it means LizQuen sharing a kiss wahahaha. Although their managers might not allow it because too many fans would suffer from high blood pressure hahaha. There was a lot of laughter on their part when they were sharing their experiences on doing the challenges, like the closing room challenge I shared above. Even for them (even if they've done so much promotional work for many companies), the concepts of the videos they shot were novel and very interesting to them. They shared that they had so much fun doing the challenges, and that they discovered for themselves that after putting CloseUp to the test, they really did enjoy fresh breath the whole day. This is the video! No more chickens here, but the ninjas were still there tickling the two of them and distracting them. It's so cute, watch this too! 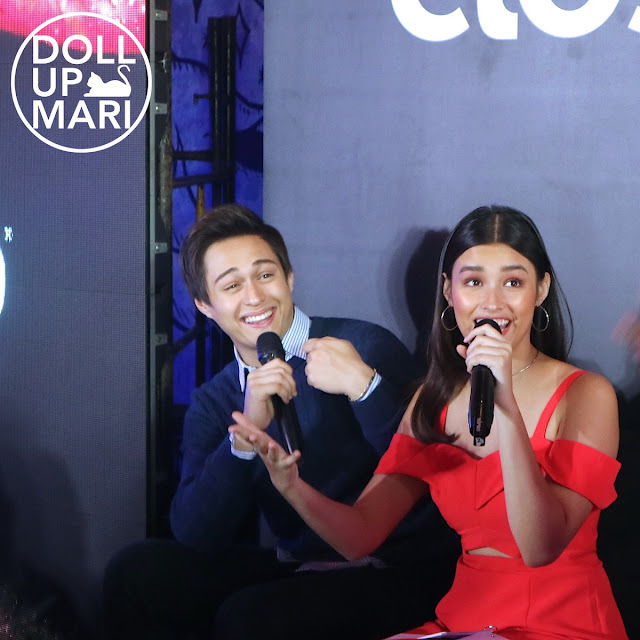 Aside from the once in a lifetime chance to meet LizQuen, fans were there to witness a special live challenge for the pair to do. Fans were asked on Twitter to choose between Spotlight Squeeze challenge, Hula Hoop challenge, and Red Jelly challenge. The challenge that won was the Red Jelly challenge! And no, this was not something that they just chose on purpose, there were 16000+ actual votes on Twitter! Quen is looking nervously onto the piece of sour tape because the idea is that each person is to bit onto the opposite ends of the tape, and in 30 seconds, no one should let go, and both of them should get closer. And given the fact that the sour tape is so sour, keeping it on for 30 seconds is another challenge on its own. 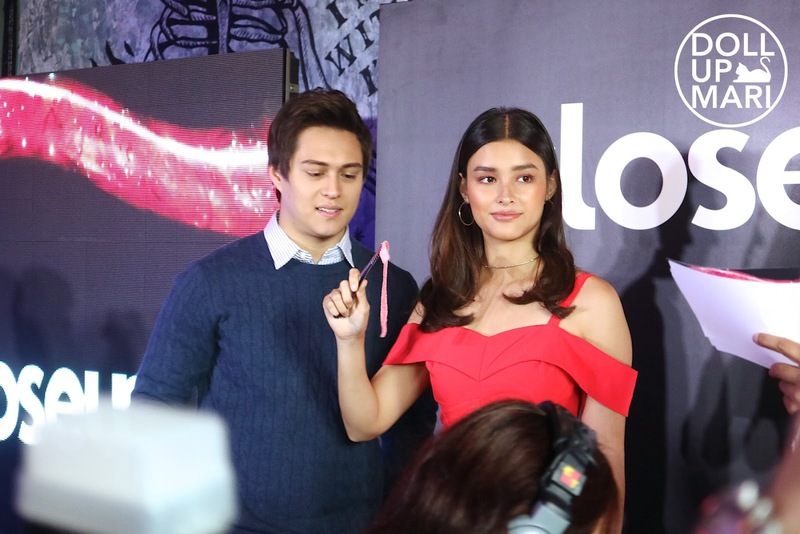 Now even Liza is looking at the sour tape nervously wahahaha. It's not an easy challenge!!! Especially when there are prolly at least 100 people in the venue filming them hahaha. They had to do a take 2 for reasons I don't remember, but that just means more kilig moments for everyone to witness!!! So cute!!!! And just to prove how good looking they are, they are possibly the only people in the world who can be squinting from the sourness of the sour tape but still look good while doing so. The challenge was quite hard because sour tape is only nice to eat when you're chewing on it and you're eating the sugar, too. Just keeping your grip on the same segment for 30 seconds is really sour. 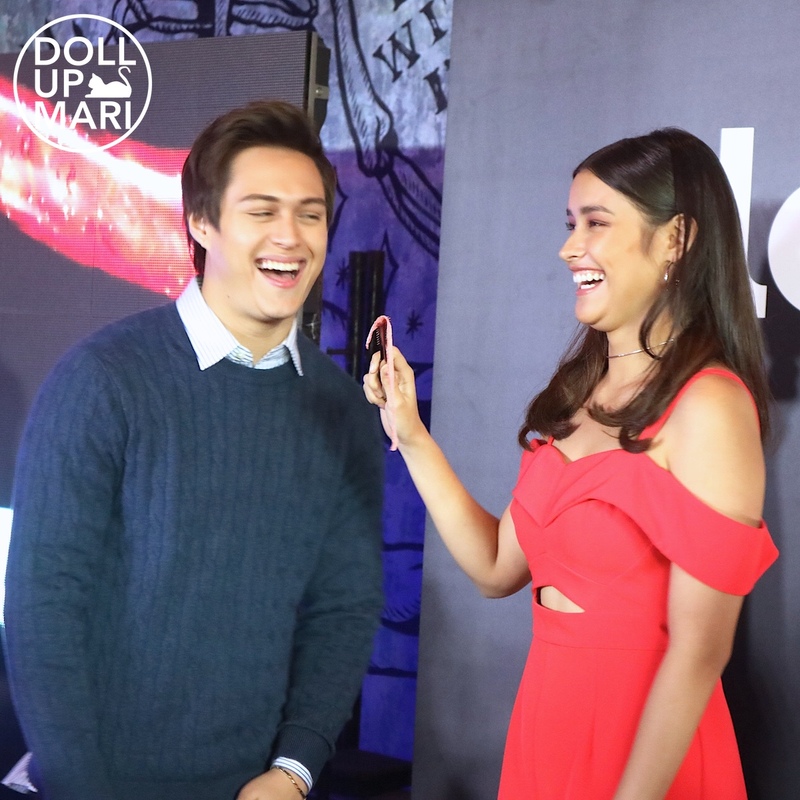 But even such an extreme challenge is no challenge to LizQuen because they're confident with their fresh breath thanks to CloseUp. Sorry if stage manager lady is here! It was so crowded this was the only angle I could take photos from hahahaha. As they shared in their interviews, it's easy to get closer than ever when you're already close to begin with. You can't fake this kind of admiration they have for each other!! Nope! Toothpaste is really not just about the dental technicalities, a lot of it also boils down to how it gives confidence. Such is the case with CloseUp! Using CloseUp will not win us Quen, but it can win us our own Quen (not Liza's Quen hahaha).